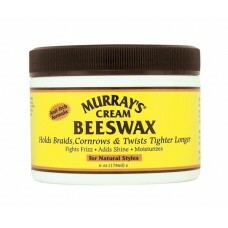 Murray's uses the finest imported beeswax to help lock your style in place. The ultra rich formula will add shine, reduce itching and fight frizz. The cream will wash out easily with no build up and help extend the life of your style. 6 oz. jar.